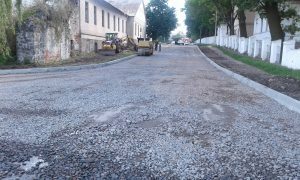 Due to budget Dashivskoyi village council an overhaul of the pavement on the street Lesya Ukrainian. To reduce the risk to road users along this road is planned to build a track paving and construction of park lamps night lighting. On both sides of the road on the other side planned to blow up beds.